A spokesman for the New York City company that manages 1 World Trade Center says the building's head of security has resigned. The Durst Organization's Jordan Barowitz confirms David Velazquez resigned Friday. The departure comes just days after the arrests of three skydiving enthusiasts who in September parachuted off the building, the nation's tallest skyscraper. It comes about two weeks after authorities say a New Jersey teenager sneaked onto the site and climbed to the top of the 1,776-foot tower to take pictures. 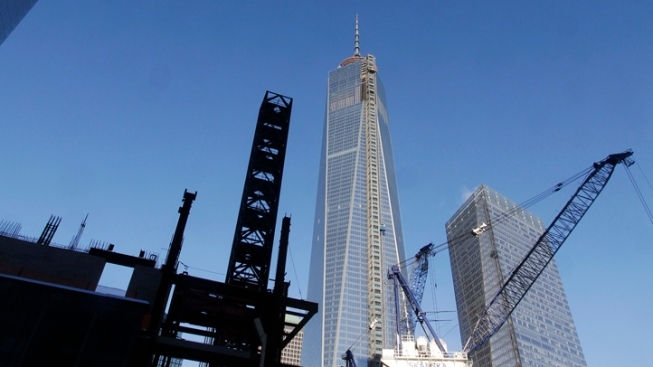 Two CNN producers were arrested at the World Trade Center site Tuesday after allegedly trying to push through a gate and climb a fence, police said. Brynn Gingras reports. Barowitz says the company took over security of the tower in January. The Port Authority of New York and New Jersey controls the site and is responsible for security around the perimeter. Velazquez can't be reached for comment by telephone. Three daredevils from Long Island are in trouble for climbing to the top of 1 World Trade Center and then parachuting to the ground. Greg Cergol reports.